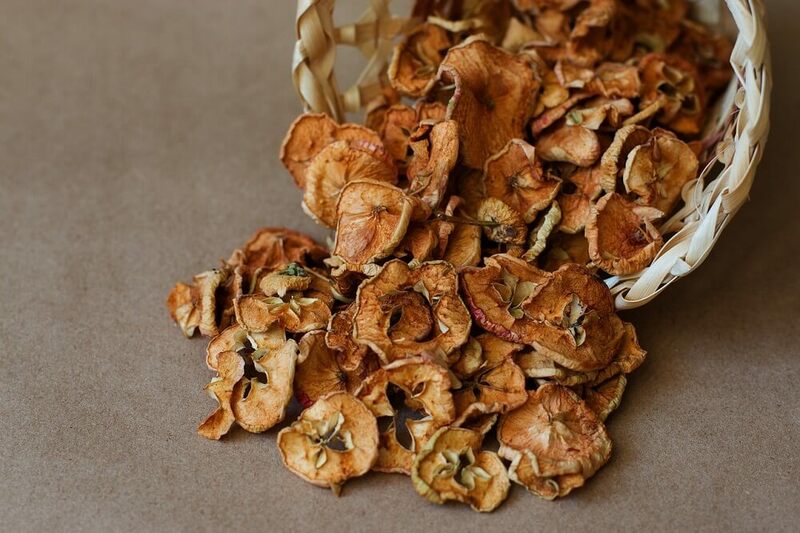 If you already have a list of go-to tasty-but-healthy snacks, add these crispy and delicious apple chips to it. They are ridiculously easy to make and require only 3 ingredients. There’s almost no way you can mess up the recipe. All you need to do is thinly slice a couple of apples then bake them in an oven until they get crispy. They make for quick snacks at home and you can even take them on the road on picnics, hikes and road trips. The secret to this recipe is baking the apples long enough to make sure they turn crispy. It takes quite some time before they completely dehydrate. Pre-heat your oven to 110C and then get started preparing the apples. Wash them, remove the core and cut into thin slices. A mandolin or an electric grater is the best tool for this. But you can also use the blade of a food processor or electric grater. Note that the coring is optional. You can just slice the apples as they are. The final chips will have a few seeds in them. Spray a baking sheet or line it with parchment paper. This prevents the apples from sticking to the sheet. Place the thin slices on the baking sheet ensuring they are properly spaced out. You want to leave enough space between each to speed up dehydration. You can leave out the sugar if you don’t want the apple chips too sweet. They are already quite sweet on their own. Sprinkle the mixture onto the apple slices. Bake in the oven for 1 hour then remove, turn over slices and bake for another 45minutes to 1 hour. The exact baking time varies depending on the moisture content of your apples. So keep checking every 30 minutes or so to make sure they don’t burn. Leave the apple chips to cool for around 10 minutes. This will add to their crispy texture. Store the apple chips in an airtight container for up to one week.